Class of 1967 Class Gift has raised $ 50 from 1 gifts! Show support for our great alma mater! We have chosen for our class gift to be a major update to the Woody Hall patio. You may have lived here or studied here and know how special it can be to our students and visitors. If you choose to contribute, your support toward the funding needed for this project will ensure that the space is a special place on campus for years to come. 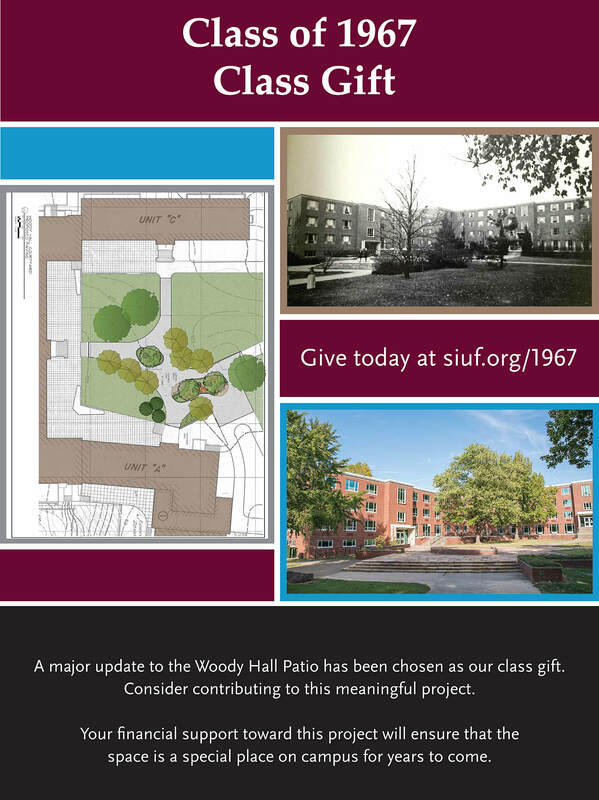 Let's together as the class of 1967, make good things happen at Woody Hall and Southern Illinois University.